Are you a huge San Francisco Giants fan? Organize a group of people to get together and attend the next big game at the famed ballpark. 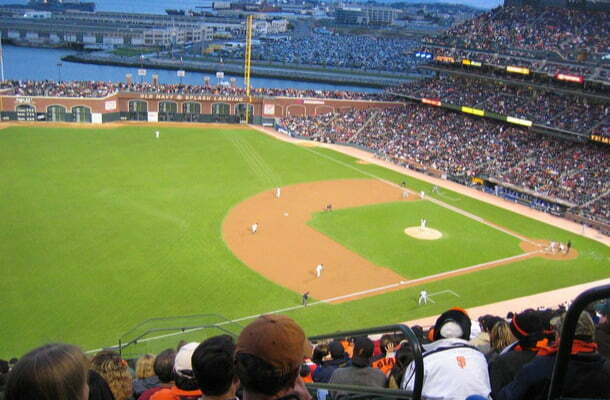 Formerly known as AT&T Park, this famous sports venue not only hosts baseball games but also holds public events like community races, concerts, and more. A private charter bus rental is the perfect way to get your group to the ballpark for a major event. National Charter Bus has several group transportation options for families, friends, and colleagues heading to the park for an event. Call us 24/7 at 415-226-7853 to explore our charter bus rental services in the San Francisco Bay Area. Oracle Park changed its name in 2019 after almost two decades of being known as AT&T Park. 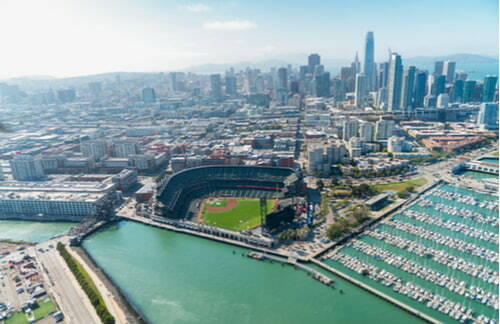 The waterfront ballpark has hosted multiple tenants since its opening in San Francisco’s South Beach neighborhood back in 2000. Along with the main ballpark and athletics games, Oracle has been a concert venue for major musicians like The Rolling Stones, Guns N’ Roses, and Beyoncé. There are also several smaller venues within the ballpark, including executive meeting rooms and clubhouses for private events. Although the park can seat up to nearly 42,000 visitors, the venue has been filled to capacity hundreds of times over the years. Right after the Red Sox, the San Francisco Giants have the longest game sellout streak in MLB history, with 530 games selling out over the span of about seven years. The San Francisco Giants have been the park’s main tenants since its opening, bringing in millions of visitors every season. As one of the oldest and most successful teams in Major League Baseball, Giants games live up to the hype every year. Getting to Oracle Park with a large group can be difficult if you’re relying on multiple vehicles. A private charter bus rental will allow your group to travel together, which will cut down on the stress of regrouping and finding parking once at Oracle. National Charter Bus is your premier choice for group transportation needs of all scales in the Bay Area. Minibuses are compact yet comfortable vehicles for relatively small groups traveling to Oracle Park. These buses come in 18-, 20-, and 25-passenger models for fan groups heading to a game or concert. Large groups like organizations or clubs traveling for a special event at Oracle Park would be best suited with a full-sized charter bus, which can seat up to 56 passengers. Groups can choose from modern coach buses with premium amenities like free WiFi, accessible power outlets, televisions with DVD players, and on-board bathrooms to make the ballpark trip as comfortable as possible. With so many games selling out, parking at Oracle needs to be well planned out ahead of time. Parking for oversized vehicles like charter buses is available at Pier 48 across from Oracle Park for $80. Parking prices vary depending on whether it's baseball season or postseason, but each lot requires a pre-purchased permit or cash-only payment upon arrival. When you rent a charter bus from National Charter Bus, we’ll handle the parking logistics for your group so you can focus on enjoying the Giants game. 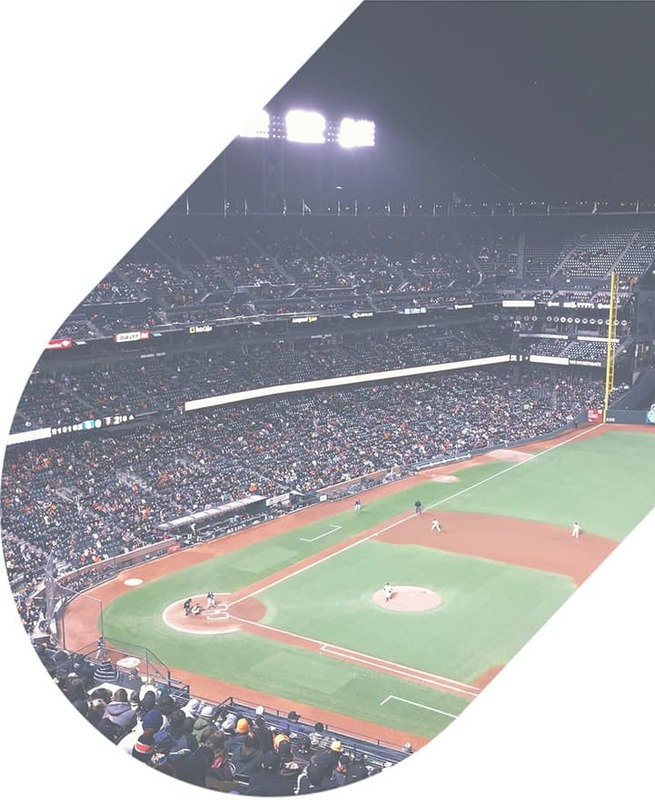 If you’re hosting a major business venture or community-based event, what better way than to spend it at Oracle Park where the pros make magic happen? Giant’s Enterprises offers multiple rental options for groups looking to plan a unique event. From the speakeasy-style Gotham Clubhouse to Club Level spaces with beautiful views of the bay, groups can host business meetings and receptions in one of San Fran’s biggest attractions. Providing a private shuttle service for event attendees will give them an even better VIP experience for an important event. Oracle Park also holds The Giant Race each year, a race that includes a 5k, 10k, and half marathon. The series of races attract thousands of runners from across California for the unique experience of combining their passions for baseball, community service, and running. If you and a group of fellow runners are planning to register and attend the big race, a charter bus or minibus will get everyone to and from Oracle Park in an efficient and timely manner. Your entire group can stay together during your travels and relax in climate-controlled interiors after a long day of running. National Charter Bus San Francisco is your one-stop-shop for all group transportation needs in The Bay. Don’t hesitate to get the rental process started as soon as possible! For busy seasons and popular destinations, we usually recommend booking your charter bus at least two to three months in advance. This will ensure that you receive the best quote for your trip to Oracle Park. Our rental experts are available at 415-226-7853 to provide you with a no-hassle, personalized quote.